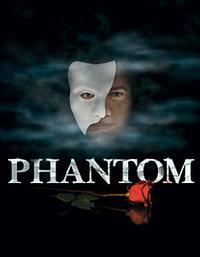 Phantom of the Opera has only two more performances before the show packs up its 20 tractor-trailers of props, costumes and scenery and heads out of South Florida. There are still lots of tickets available at the Broward Center website. And with this weather, it's a good day to see a show. See Broadway World for some background on this legendary production. Saw it Friday night. Still impressive.